The Academy is nationally recognized for its diverse class offerings and excellence in its training of all disciplines. Every student, from children to adults, from beginners to professionals, is a valued member of the SRVDA family. At San Ramon Valley Dance Academy, we are aware of the importance of a child's first experience in dance and we are committed to providing quality instruction for young children. Accordingly, classes are taught by faculty members only, not student assistants. We are also aware that individual needs and expectations vary. While some prefer focusing on a single dance form in a formal setting, others favor exploring multiple dance forms in a less structured environment. Childrens Dance recognizes individual needs and offers a variety of classes for children ages 3-6. Each class is 45 minutes in length and meets once a week; parents are invited to watch one class each month. All classes begin with a basic warm-up consisting of stretching, motor-coordination skills and musicality. Allows students to explore multiple dance forms. Ballet, creative dance, tap (4-6 year olds) will be introduced throughout the year in Creative Dances Variations Option. Focuses on the art of ballet. Barre work, technique, terminology, and centre work, plus combinations and dances choreographed especially for the young ballerina. 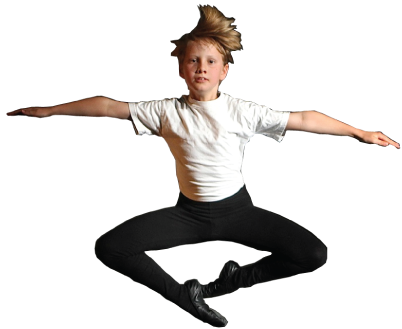 Classes offered in these varied disciplines take a creative, fun approach to introducing the technique and style of each to the young Childrens Dance student.